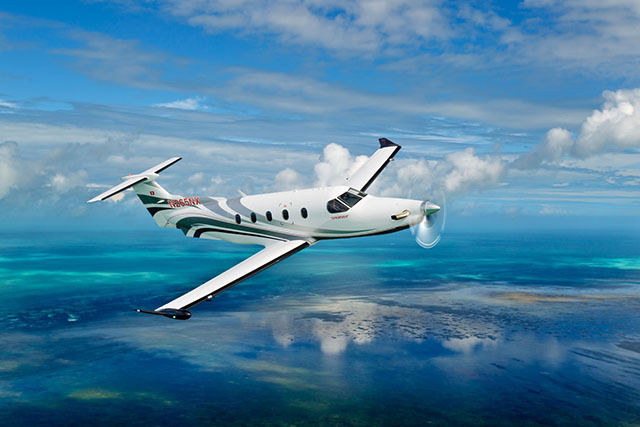 For discerning travelers en route to the Caribbean, the transfer between a large-cabin charter jet and a final-leg turboprop can often lead to inconsistencies in service. 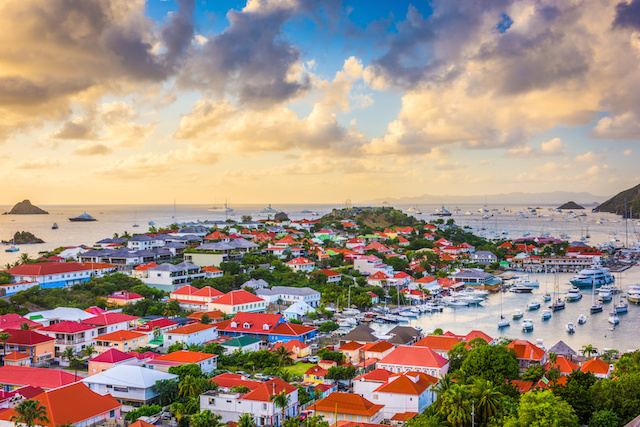 In response, Tradewind Aviation and large-jet operator Clay Lacy Aviation have partnered to provide seamless access to St. Barth, including plane-to-plane transfer averaging just 10 minutes. Arrive on St.Bart’s in the high-performance Pilatus PC-12. St. Bart’s entices visitors with its endless teal blue waters and white sand beaches. Over the years, while chartering flights to the stylish destination, it quickly became apparent to Bonfigli that what was missing for travelers was two services that could work together. Because large jets cannot land at Rémy de Haenen Airport, passengers were stepping out of glamorous, high-end jets and into puddle-jumpers that made for bouncy flights with no air conditioning. 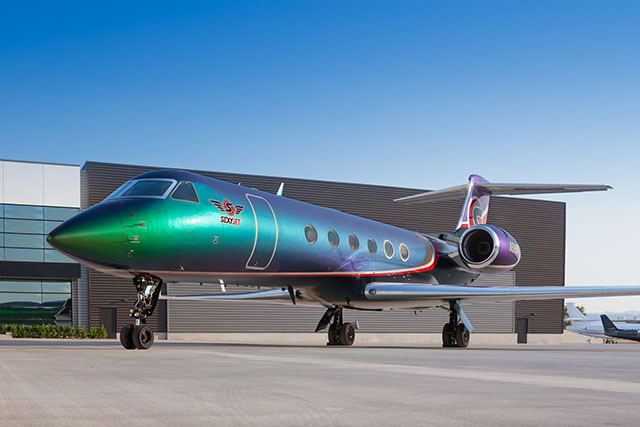 Bonfigli’s planes, a Gulfstream GV and Pilatus PC-12, are some of the most recognizable aircraft in the industry; the GV turns heads with a sleek, color-changing exterior that took more than 3,000 man-hours to complete. Upon arrival, the GV and PC-12 provide unprecedented convenience by parking next to each other. Passengers can change planes in just a few minutes without going through an airport terminal or lengthy customs process. Gulfstream GV available for charter from Los Angeles. Inside the stunning jet, passengers are welcomed by elegant Italian-leather seats, lights that shift in color, and a premier entertainment system – along with a partitioned sleeping compartment in the back of the aircraft. The professional cabin server, Melissa, is at your service and caters based on your favorite foods. The decision to have Clay Lacy manage the jet was simple. Founded in 1968 by legendary aviator and industry pioneer Clay Lacy. The experienced aviation company has flown world leaders (including six US presidents and a British prime minister), government agencies, professional athletes, celebrities, and more. They typically employ GV aircraft for flights like the one from LA to San Juan, Puerto Rico – where the transfer takes place – because of the jets’ exceptionally high cruising altitude, long range, endurance, and reliability. With the most knowledgeable team in the industry, Clay Lacy delivers superior safety, service and value to aircraft owners and jet travelers worldwide. Interested in traveling to your favorite destination? Contact a Clay Lacy charter coordinator to book your flight.